Tracking string updates in HEAD is probably not the most productive way to manage a translation project, but I’m impatient. 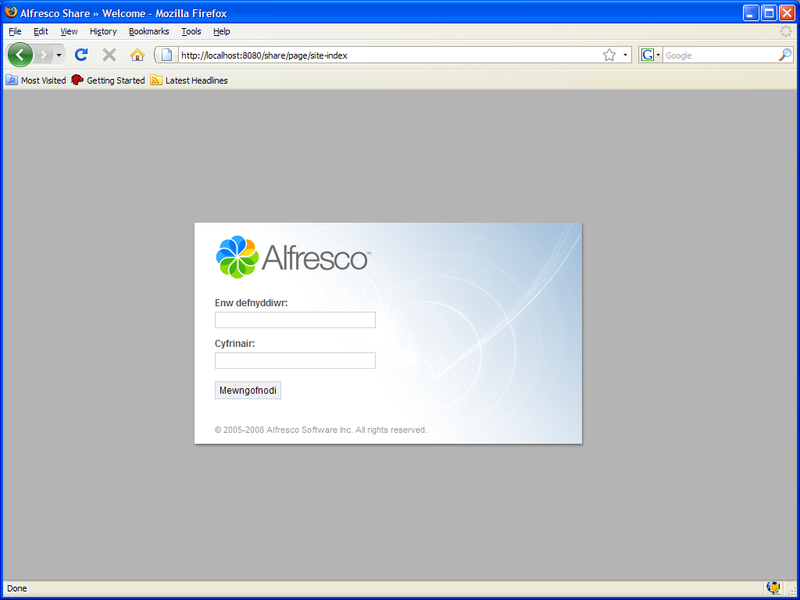 Despite that, at this moment in time all the translatable text of Alfresco Share is now available in Welsh. Some things such as page titles don’t seem to be internationalisable yet, but I estimate some 90% of the content is fully translated. A small patch to the Web Script Framework is needed to force the web app to use the locale-specific message bundles rather than the default ones but once that was done and I’d thrown the translated .properties files onto the classpath (they must be added into the web app itself, not anywhere else) it all started magically working. I’m like a kid with a new toy right now. 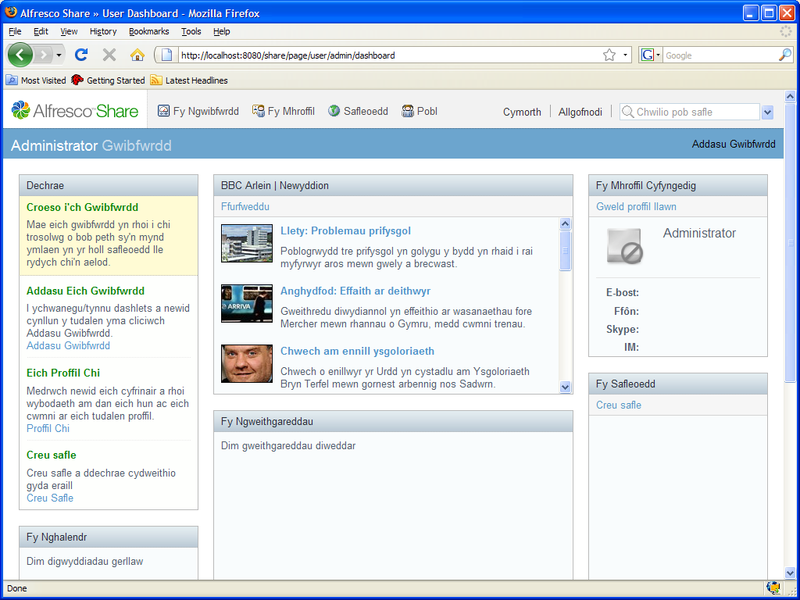 The new WordPress.com blog rocks a lot, but consequently I’ve spent more time than is healthy tweaking it this evening. So far I have a custom header image which I’m pretty happy with and the layout of the four columns is starting to work. Honestly, I don’t know how I ever coped with just two. The CSS could do with some work, but apparently it’s $15 to change that. It can wait for now. Now I just need to start writing stuff again. We’ll see how that goes. We all know the guys at Electronic Arts know a good WCM platform when they see one, but their latest trick over here has landed them some mixed PR – taking over a petrol station in Finsbury Park and giving away £20,000 of fuel to anyone who wants it!